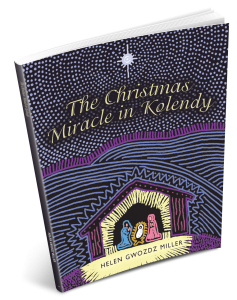 Author Helen Gwozdz Miller reveals The Christmas Miracle in Kolendy. This Nativity Play can be staged by English-speaking people of Polish heritage, in their parishes or clubs. It can also be performed by Polish-speaking people, who are studying English, especially pre-teens and teens.